We’ve partnered with Nurturing Mums, a positive and non-judgemental network designed to help and guide new or existing mums on their journey through motherhood. To celebrate our partnership and because we think no one deserves a treat like a new mum, we’re offering one lucky winner the chance to win a £150 voucher to spend with Dinny Hall.  All you need to do is complete the form on this page, signing up to the Dinny Hall mailing list. With 6 London locations, as well as our online portal www.dinnyhall.com we’d like you to think of us as your local London jeweller! The competition ends on Wednesday 3rd January 2018 and the winner will be contacted directly. We’re also very pleased to announce that Dinny Hall will be hosting some of the Nurturing Mums course locations for 2018, so we may well see you very soon! Receive emails from Dinny Hall.